I am very pleased to welcome you to the International Bar Association‘s 2018 Annual Conference in Rome, the beautiful capital of Italy. For the next week, Rome reconfirms itself as the global epicentre of all legal matters. As I mentioned in my introduction to the Preliminary Programme, Rome is the birthplace of the EU, the home of three important UN agencies and the cradle of Roman law. Every IBA Annual Conference has its own signature style. We believe Rome 2018 is sure to be an unforgettable event, as well as possibly the biggest Annual Conference yet. It takes, to speak in terms of ancient Rome, a truly colossal effort to bring an IBA conference together, and I would like to take this opportunity to heartily thank the IBA staff and members who have laboured hard and creatively to make this week possible for us all. Although Rome is deservedly famous for its dolce vita, the ‘sweet life‘, I am confident you will all be working very hard to gain the most from the conference sessions. And against this unique background of history and culture, I believe our IBA Annual Conference 2018 will also exceed your expectations. More than 200 sessions are included in the conference programme, which will culminate in the inspiring Rule of Law Symposium. There will be exceptional showcase sessions presented by the IBA, LPD, SPPI, BIC and IBAHRI, and the committee sessions will offer the chance to hear from the best experts in the field. They will benefit all delegates, whatever your area of practice, highlighting not only the burning issues of today but also the anticipated issues of tomorrow. We are confident that memories of the Welcome Party on Sunday evening will long linger as a dazzling start to kick off the week, transported through time at the stunning Villa Aldobrandini in Frascati. At the Opening Ceremony, taking place this year on Monday morning, we are honoured to be addressed by Romano Prodi, former Prime Minister of Italy. We are delighted to be working with prestigious international organisations such as the UN, the OECD and the World Bank to secure many high calibre speakers. Among the speakers, you can find: the General Counsel of Bulgari, an FBI Special Agent who specialises in the recovery of stolen/confiscated art, the Legal Director of Microsoft and a retired Justice of the Supreme Court of Ghana, just to name a few. Additionally, the lunchtime ‘conversation with’ interview sessions are sure to be Illuminating. IBA Executive Director Mark Ellis will host Dr Fatou Bensouda, Prosecutor of the International Criminal Court,Mary Robinson, former Prime Minister of Ireland, and the Rt Hon Kenneth Clarke, a prominent UK politician and Member of Parliament. 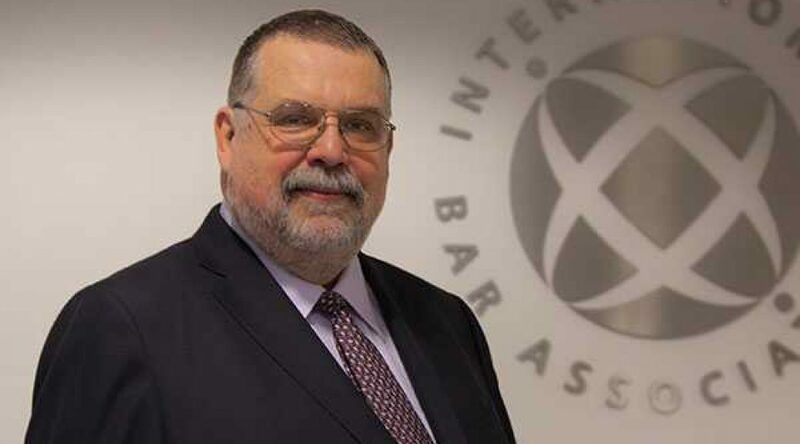 The fourth session in this series will be hosted by Homer Moyer, Member,IBA Rule of Law Forum Advisory Board, and will feature a panel of eminent legal professionals in discussion about rule of law issues. Traditionally, there is never a universal theme for an IBA Annual Conference, as the umbrella of legal subject areas for the week‘s sessions is a very broad and colourful kaleidoscope of themes. And yet, because of the times in which we find ourselves, the issue of the rule of law and what it means not just for legal practitioners but for every human being, community, civil society and country, is making itself sorely visible on a regular basis. As IBA President, I urge all IBA members to make it your mission to take away from this conference action points on what you can do to spread the message of the practical meaning of the rule of law, be it in your community or in an organisation of which you are a member. And not only how you can spread the message yourselves, but what you can do to persuade your clients or your bar association to help. I hope that the rule of law videos introduced at the Opening Ceremony, prepared by the IBA for you and for anyone ready to help disseminating them, can be a very hands on and appealing tool to take away and use. For anyone coming to Rome, dining and food are a primary delight of a visit to this city. And to continue the food theme, I‘d like to encourage all delegates to look at the rich and varied offerings in the daily IBA programme as a smorgasbord, a walking dinner, or as our French friends would say, a cocktail dînatoire. Our IBA programme is indeed a ‘moveable feast‘, to paraphrase Hemingway, and I urge all delegates to make sure to move visit the convention centre every day after your sit-down lunches in the city, for every afternoon there is a delectable menu offering of IBA treats to be savoured! And the afternoons at the convention centre also provide excellent networking opportunities, which we recognise as being a key benefit to all delegates. I look forward to meeting old friends and making new ones in one of the world‘s most influential and captivating cities. For many of you, it may be a welcome return to bella Roma, but for those who have never seen Rome, then, as the saying goes, Roma, non basta una vita (Rome:a lifetime is not enough).